There are many tools and services that correct errors and help you become a better writer. The best known of these is probably Grammarly. This is a free tool that also has a paid, premium version. Grammarly goes way beyond the capacity of the typical spelling and grammar checker and catches many common mistakes. This is a tool that can help you create more professional emails, social media posts, blog posts, articles and more. It can also help you fine-tune your writing skills, allowing you to see mistakes that you might otherwise not notice. In this Grammarly review we’ll be exploring the features of both the free and premium versions of Grammarly. A limited time, exclusive Grammarly discount is available, as well as an annual premium plan giveaway is running at the bottom of this review. Many people make mistakes with spelling and grammar. Whether you are a student, employee, business owner or even a professional writer, you probably make spelling and grammar mistakes sometimes. This can be due to carelessness and typos as well as lack of knowledge regarding the rules of grammar. Spots Contextual Spelling Errors. This may be the single biggest benefit for many people. A normal spell checker doesn’t catch an error such as typing “too” when you meant “to” or “two” or “your” instead of “you’re.” Even if you know how to use these words correctly, it’s easy to slip up when you’re typing fast. Grammarly will spot this type of mistake. Corrects Grammar Mistakes. Many people get confused by the more complex rules of English grammar, such as subject-verb agreement or when to use the future conditional tense. Finds Punctuation Errors. Another area that often trips people up is punctuation. Grammarly helps you use commas, semicolons, colons and other punctuation correctly. Helps You Become a Better Writer. Grammarly doesn’t simply correct your mistakes; it explains the rules and reasons for everything. This helps you increase your understanding of grammar, making you a better writer. Grammarly can be used whether you are writing an email or composing a post on a site such as Facebook, Twitter, LinkedIn or Tumblr. When you sign up for the free version of Grammarly, you get access to a browser extension that works for Chrome and Safari. The free membership includes bonuses such as the Grammarly Handbook, which provides a concise summary of the most important rules of English grammar and Grammarly Words, a dictionary and thesaurus. You also get access to Grammarly Answers, an online forum where you can interact with other members and ask questions. Checks for more than 250 types of grammar errors. Vocabulary enhancement suggestions. Increasing your vocabulary helps you express yourself more clearly. It also makes your writing sound more professional and sophisticated. Grammarly Premium recommends synonyms for words you’ve chosen. Detects plagiarism. With so much content on the web, it’s easy to plagiarize, even unintentionally. Grammarly for Microsoft Office. If you use Office, it’s extremely helpful to be able to integrate it with Grammarly, allowing you to create professional, error-free documents with ease. This is also useful if you use Outlook email, letting you create your emails while using Grammarly. Adjust Setting for Different Writing Styles. This is a powerful feature that takes into account the need for different modes of writing. You use different rules and styles when writing an email to a friend, composing a business email or writing an academic paper. Grammarly lets you choose between business, creative, academic, technical or casual writing styles. There are several subscription options for Grammarly Premium. The company is currently offering discounted rates of $139.95 annually, $59.95 quarterly and $29.95 monthly. We are giving away an annual premium account to one lucky winner. All entry options are described in the giveaway widget below. Being a subscriber of our giveaways and coupons mailing list is mandatory. Who Can Benefit From Grammarly? Grammarly is a tool that can be helpful for many types of users. Writing skills are a fundamental skill you need to communicate effectively. The following are just a few ways that this powerful software can help you. Writing for school. Grammarly can help you turn in better papers and essays. The premium version will also ensure that none of your content is plagiarized. Business and technical writing. Spelling and grammar mistakes can detract from your message. Ensure that your web pages, emails and other business related content is accurate and professional. If you’re searching for a job. Ensure that your resumes and cover letters are free from errors. If you’re a professional writer or aspire to be one. If you’re sending out manuscripts for your novel or script or want to get your articles published, it’s important that they are error-free. Grammarly can also enhance your writing by improving your vocabulary. Social and casual writing. Even when you’re just writing casual emails or posting to your social media pages, you want to sound articulate and intelligent. 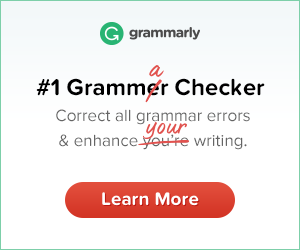 Grammarly helps you avoid embarrassing errors. Grammarly is useful for anyone who writes for any purpose. You can use the basic features for free by simply installing the browser extension. If you do any serious amount of writing, especially for professional purposes, Grammarly Premium can be extremely useful. Both the free and premium versions are extremely sophisticated tools that far exceed the capabilities of everyday spell checkers. Having Grammarly gives you more confidence and saves you from making mistakes. It also saves you from having to spend hours proofreading. This makes it an important addition to your collection of online tools and software. As every writer knows, generic word processing programs aren’t exactly reliable at catching all those irritating punctuation and grammar mistakes that always seem to appear on screen when you’re deep in thought. Hopefully, as purpose built software, Grammarly is miles better, so I’m going to ‘try before I buy’ and download the free version today. Is Grammarly only for Windows or can it be used on my Macbook Pro? Hi Leslie, please see this link for more information.